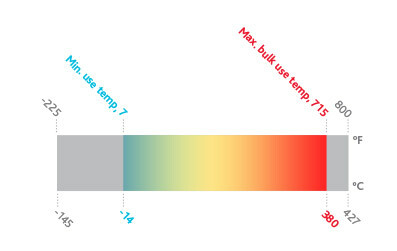 High Temperature Stability—Therminol 72 is ideally suited for high temperature heat recovery applications that also require low temperature fluidity. Reduced Operating and Capital Costs—The use of Therminol 72 in high temperature heat transfer systems can result in a significant reduction in capital investment, due to reduced freeze-protection requirements and lower pumping energy costs at low temperatures as compared to other very high temperature alternatives. Nonfouling—Therminol 72 has been carefully formulated to minimize the formation of low boilers and eliminate the risk of insoluble high- boilers formation and fouling. Proper attention to system design and operation within the maximum bulk and film temperatures specified will help ensure reliable operation.